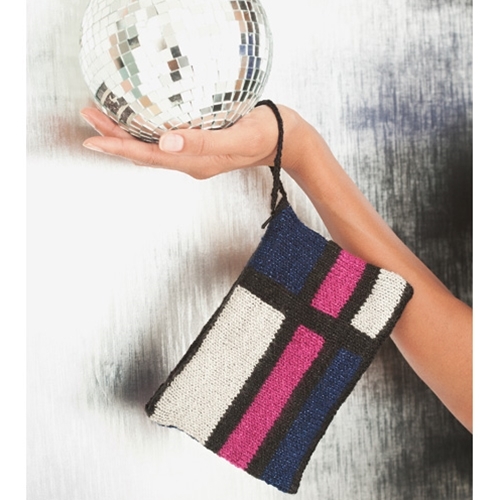 This colorblocked purse is worked flat, folded and seamed, then finished with a zipper and a crocheted cord for a loop handle. The bag is lined with fabric, so your eyeliner and keys won’t poke through the stitched sides. 26 sts and 38 rows to 4"/10cm over St st using size 4 (3.5mm) needles.